5:50–The garden tools in the shed might be ready to go, but the ground is not. 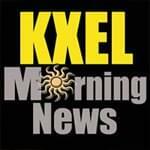 If you need to scratch that gardening itch, Urban Agriculture Specialist Steven Eilers of Iowa State University Extension talks with Tim Harwood about a series of free gardening classes coming to several Black Hawk County libraries. 6:35–Sounds like a Land O’ Lakes, Florida, man should have used more shortening in his cookies. Find out what that has to do with KXEL’s regular Wednesday legal segment when Jeff Stein talks with Fox News Radio Legal Analyst Wendy Patrick. 7:35–TV9 Meteorologist Kaj O’Mara says sunshine comes our way for the remainder of the work week. 7:50–The KXEL Morning News gets rhythm as Norman Ussery and Jim Waterbury stop in to share details about the Waterloo Community Playhouse’s new production, Ring of Fire, based on the music of Johnny Cash. And throughout the morning, hear the latest results from Tuesday’s special election in Iowa Senate District 30.